Perhaps you harbor the thoughts of one day becoming the greatest novelist. Maybe you want to be able to express ourselves more clearly through writing. You may also want to be the best essay writer in school all these ambitions narrow down to one’s writing skills. It does not matter what you want to achieve through it, what counts is the willingness to develop these skills and maintain the streak of better skills up to the end. Academic writing is one style that anyone can produce after they master the rudiments of essay writing. The essay ought to have a solid and debatable thesis that can be supported by evidence from your own research o other sources. If you understand the basic academic writing guidelines, your essay writing skills will be on the next level. This will allow you to come up with valuable, persuasive essays even when you are under a serious time constraint. Your essay writing skills ought to employ the active voice because it demonstrates good writing. Overly using the passive voice makes your writing very boring. Your sentences ought to apply the subject-verb-object. However, the confusion comes in when you put the object first. This is not to demonize the passive voice, but if you want your essay writing skills to improve, you need to use a more active tone. Sometimes there may not be a clear way of forming your sentences, or sometimes it comes with a lighter touch when you use the passive voice. However, you need to be aware if the subject-verb-object rules before you make your exceptions. The only exception to passive voice is in science writing. It uses the passive voiceto emphasize the results instead of the researchers. Another important tip on how to improve your essay writing skills is to use precise, evocative, and spiced with the unexpected. If you can find the right verb or adjective to turn and uninspired sentence into a memorable one is better. Refrain from repeating one word over and over as you build your rhythm. However, there is an exception in the words that are used to describe a dialogue. Bad writing will have “she said,” “he opined” phrases. Sometimes a simple “said “will suffice. If might feel awkward to repeat this word but it is much better compared to using other phrases unnecessarily. You can also use Thesaurus but cautiously. If you are going to use it to spice new words, ensure that you have a dictionary on hand. This will give you the accurate meaning of the words before you can use them in your essay. Good essay writing skills simple, clear, and direct. You do not earn any mark when you use 100 words to say something that would have been clear by only using 20 words. Good essay writing skills are about using the right words instead of filling up the page. Sometimes using too many words makes it hard reading and understands the sentence. If words or phrases do not add any meaning or value, cut it off. Adverbs in most cases only clutter up a sentence. If you use an adverb well, it can go a long way in making your writing look good. For instance, instead of writing, “screaming fearfully,” “scream” is just fine and saves time and breath. Cutting the chaff also means editing out unnecessary phrases or words. You need not be obsessed by finding the most concise way to structure your sentence. Once you write your ideas down, go through it editing out any unnecessary stuff. Your writing isconjoined with your imagination. You need no describe every detail if you have a few good ones that can spur the audience’s mind to fill the rest. You can lay down well-placed dots, which the reader can connect easily. One of the important tips on how to improve essay-writing skills involve showing instead of telling. You do not tell the audience anything that you can show them instead. You can let the audience discover for themselves by showing them the aspects of for instance the character’s background d in a book or the point of significance in a plot. Let them discover these things through the feelings, actions and the words of your characters. This works especially in fiction where the writer can put the most powerful lessons for the audience to discover through showing instead of telling. Bad essay writing skills used phrases, ideas, or situations that are used often and they have lost the impact they once had. These words are too general to impress the audience. Clichés do not apply even when you are writing fiction or non-fiction. It matters how you improve essay-writing skills even when you are writing about yourself. Refrain from using clichés like “people person” which does not say anything specific about you. It is a lazy language that can be substituted by simply saying you grew up in a multilingual society and lived in six countries; among the reader know that you are a people’s person. Generalization is the hallmark of sloppy and boring essay writing skills. You need to be precise and specific especially when it comes to academic essays. If you avoid generalization when writing academic essays, short stories and so on improves your writing skills. Tips to improve essay writing skills also apply to creative writing. You do not assume anything that you have not examined. For instance, if your piece anchors on a female character, do not assume that she will be more emotional than a man will. This line of thought in creative writing keeps you away from exploring different possibilities presented in real life. You want to know how to improve essay writing skills? Avoid speculating without providing solid evidence of your assertions. This is similar to “show, don’t tell.” You have to break down the evidence that supports what you say. Explain the thinking behind your statements demonstrates to the audience that you are aware of whatever you are talking about. Tips to improve essay writing skills also demand that you use metaphors and similes sparingly and cautiously. Good metaphors or simile can give your writing the right oomph; a bad one may make your writing, as well as they, come. Overly using the two can also make your writing t sound less confident in whatever that you are writing. You need not rely on figures of speech to explain your ideas because they can become clichés very fast. Some of the best writers d not necessarily follow the rules because they know when, where and how to break them. A good tip here is that everything pertaining to traditional grammar and the advice you get here is important if you know how it can improve your essay writing skills. The idea is to write well for the rest of the time that is clear you are going against the grain knowingly and purposely. However, moderation is important, like when you use one rhetorical question to make your opening punchy. If you use more rhetorical questions will diminish the effect that you intend the opening to have. You have to choose when to break the rules. This important tip to improve essay writing skills is integral to writing in general. Every time you finish your essay or any other piece of writing, you can let it sit for a whole and come back to it with fresh eyes. You can catch confusing bits, arranging and rearranging ideas as well as scrapping off paragraphs you have to edit out of include anything that will make your piece better. After you are done, give the piece another read. Most importantly, editing and proofreading are different aspects that are significant in the writing process. Editing pays attention more to how your content works. Do not become too attached to your writing because it may affect your essay writing skills, only to discover that your ideas are not as clear as they are supposed to be. Proofreading pays more attention to the technical aspects of your text.This includes grammar, spelling, formatting, and punctuation. Tips to improve your essay writing skills cannot be complete if you have not employed reading. Good essay writing skills come from reading too. Read and understand the works of different influential writers and discovered what is possible within the written word what the audience response to best. When you immerse yourself in reading the works of best writers, you improve your essay writing skills by learning new words, vocabulary, build knowledge and feed your imagination. Look for different ways that you can use to organize your writing or presenting your narrative. You can compare different approaches by different authors to the same subject. Remember that even if you are writing fiction, nonfiction, creative writing and so on, and good essay writing skills also come from reading. The more familiar you become with many ways, the better your essay writing skills get. It will also make your writing more original and varied. You may not realize it now, but to improve your essay writing skills demands you to go through different things like movies, books and other media that is full of references and homages to great literate. If you can read some good classics, you will ahead a body of cultural knowledge that will inform your writing. 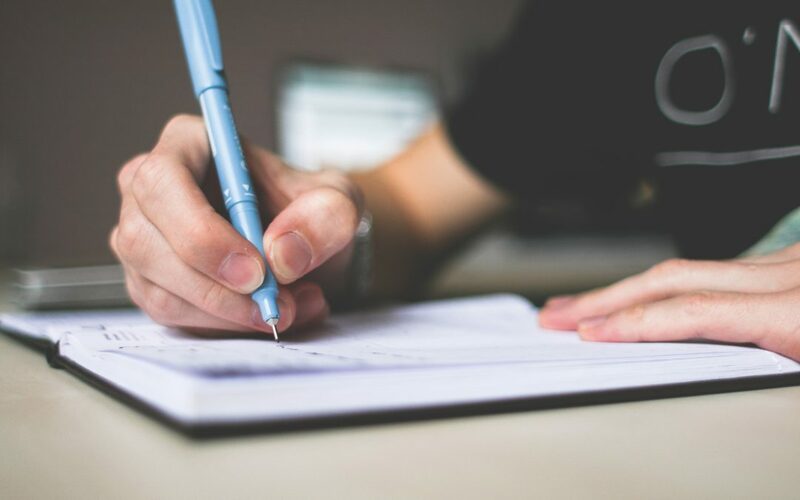 Tips to improve essay writing skills also include reading newspapers, magazines and anything that will give you important knowledge about fascinating places, people, and events that can inspire your mind. To be a great writer, you must be in touch with crucial issues of the day. You have to get a good sturdy notebook that you can carry anywhere and capture the fleeting moments and ideas before they can escape your mind. Write down anything that will stimulate your imagination. These come in handy later especially when you do not feel creatively inspired. You can greatly improve your essay writing skills if you can join a writing workshop. It motivates you to talk with others and get feedback on your work. It can be a local or online group where members usually read each other’s writing and discuss what they liked. You also offer the feedback as well, and whatever you receive, you can use it to improve your essay writing skills. That is how you can greatly affect your writing skills especially if you are a student. Improve the Quality of Your Essays and Score Well in Examination!